what a messy room! use prépositions to help Sam locate the objects he needs to prepare his suitcase to go on holiday...Have fun! 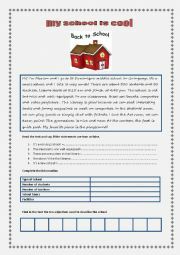 a short desription of a school with simple exercises to revise vocabulary about school. 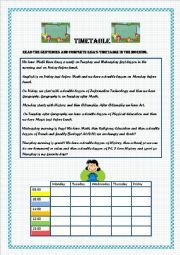 a reading exercise about time table and school subjects. 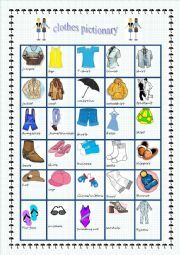 a clothes pictionary to revise vocabulary with your young (or less young) students! Enjoy it! 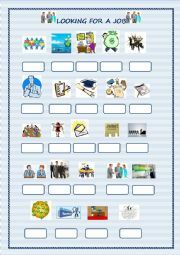 looking for a job part 1= a nice worksheet to revise general vocabulary about job hunting. 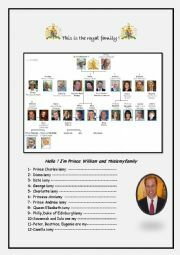 a simple worksheet to discover the royal family and revise vocabulary. enjoy! famous places in New York. complete the map then revise expressions using: "want to/there is / can" to talk about places in New York. 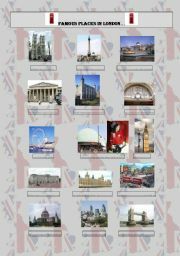 identify the famous places in London. Your students can search for the information on the net or in magazines or school books. The objective for them is to be able to identify symbols in London. How much do you know about American geography? worksheet to identify some famous places in the USA, locate them on a map. Hope your student will like it! 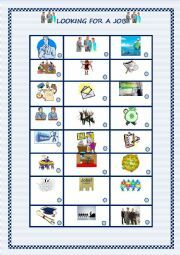 This is the powerpoint version of my word document " classroom language". Other slides can be added to your convenience! Hope you´ll enjoy it! 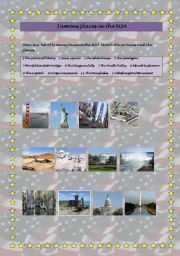 a powerpoint to discuss about symbols in the UK and in the USA. other slides can be added to your convenience. easy and funny! identity, likes and dislikes of famous people.